Enstrom set the goal to have a flying TH180 on booth display at the largest helicopter show - HAI Heli-Expo, in Orlando, USA during March 2016. 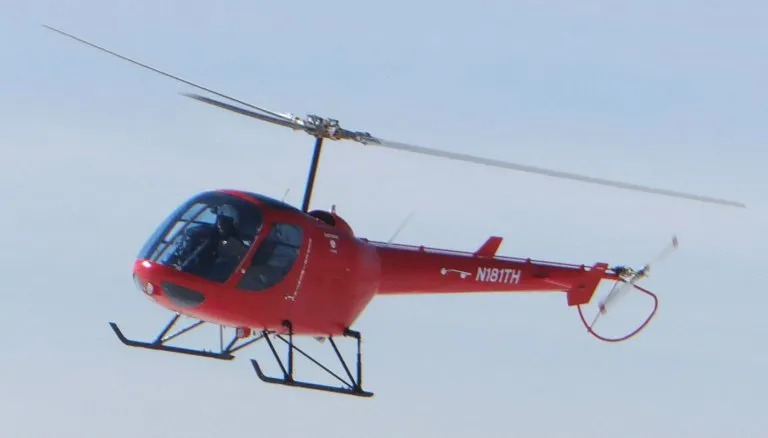 Enstrom have been flying the 2nd prototype of the TH180 and is in test stage currently. Enstrom Helicopter Corporation has announced today that it will be showcasing the TH-180 certification and flight test vehicle (FTV) during HAI Heli-Expo 2017, in Dallas, Texas, from March 7 to 9. A nice, new TH180 for Heli-Expo. This is the second FTV currently in test mode and ready for HAI. entire factory is supporting this effort on the first new TH180. Show attendees will have the opportunity to view Enstrom’s TH-180 certification and flight test vehicle. Guests are invited to visit Enstrom’s booth (#4517) to see the TH-180, along with the 480B and the 280FX.